Enterprise-level KVM and AV/IT system management platform for 25 endpoints. Call 1-877-877-2269 for pricing and to place order. 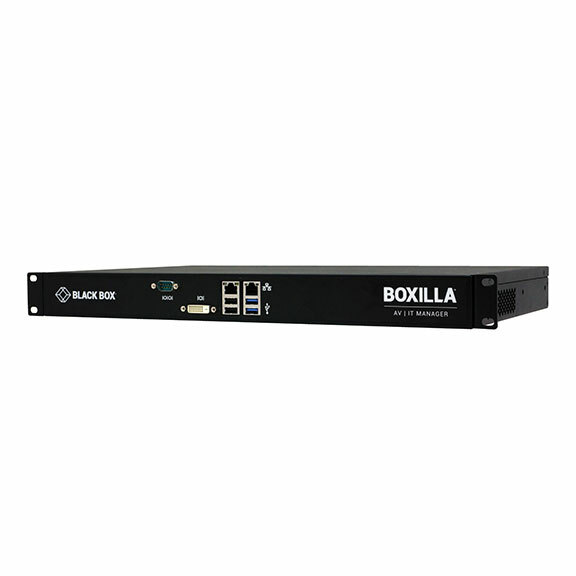 Boxilla is a KVM system management platform which can manage small, medium, and large installations that have thousands of endpoints. It provides a centralized, easy-to-use command center for full monitoring and control of your entire system, across the enterprise. Without leaving your seat, you can control user access, monitor device status and address potential problems before they happen. Ensure security with authentication and access control. Security interface dashboard for reporting and real-time alerts.